We explore the hidden world of Iran. Travel through this fascinating country to discover refined Islamic cities, colourful bazaars, ancient Persian ruins, fascinating nomads, and shimmering deserts. Whether relaxing in a teahouse in Shiraz, standing in awe of the architecture in Esfahan, Qom and Yazd the warmth and hospitality of the Iranian people, is endearing and the profound beauty of their land is mesmerising. You will meet your guide on arrival, transfer and check-in to your hotel. 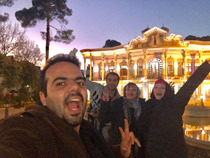 During the drive your guide will provide an introduction to Tehran, answer any questions you have, and make arrangements for the following day. Enjoy free time for the remainder of the first day. Iran's capital is exciting, noisy and chaotic. Home to 16 million people, Tehran is where the country's true national identity is found. Expect to see women wearing full-length chador competing for space with young and hip girls in figure-hugging manteau and headscarves. Also expect to be stopped by friendly locals who love nothing more than to chat with you about anything and everything. Today we enjoy a sightseeing day in the busy capital of Tehran. 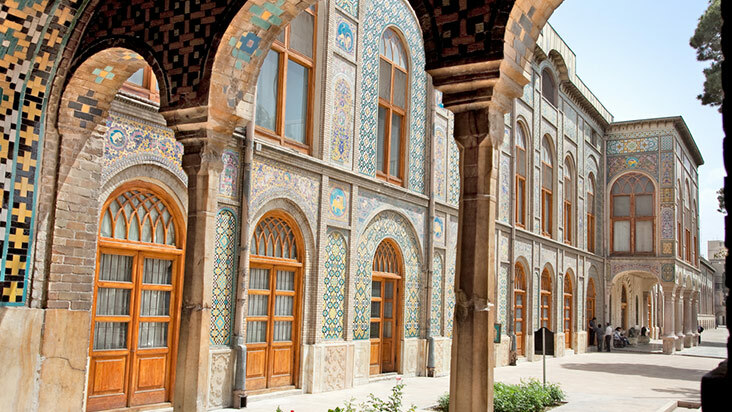 We visit the Golestan Palace, Tehran Bazaar and former US embassy and the National Museum. This morning we explore more of Tehran and depart the city just before lunch. On the outskirts of Tehran we visit the holy shrine of Imam Khomeni, the leader of the Islamic Revolution. Also visit the nearby Behesht-e Zahra, an enormous cemetery where 200,000 people who lost their lives during the Iran-Iraq War are buried. Moving on we reach the 3rd holiest Shia city in the Muslim world, Qom. Qom is one of the holiest Shia cities in Iran and the Middle East due to the Fatima È Massummeh Shrine. Qom is the main city for religious studies in Iran and the largest Theology school in Iran is located here. Most senior ranking Iranian clerics of Shia Islam live in Qom. Mingle with Shia pilgrims from all over the Muslim world during the day and marvel at the Mosque of Fatima È Massummeh at night. Kashan is a beautiful oasis city with a very long history - human settlements in the area date back to the 4th millennium BC. Here you will visit the Iman Khomeini's shrine, Finn Gardens, Agha Bozorg Mosque and Madraseh Qom Shrines. 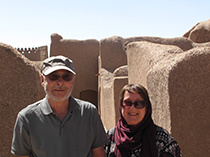 Later in the day we discover some of the finest traditional houses in Iran on visits to the Khan-e Borujerdi and Khan-e Tabatabei. These 19th-century khans were funded by wealthy merchants and feature lovely courtyards, lush gardens and fine intricate relief designs carved into stone and stucco work. In the evening, there's an opportunity to experience some delicious Iranian cooking in the home of a local family. The city is famed for having the country's tastiest khoresht (a thick meaty stew of vegetables and nuts) and fesenjun (a sauce of pomegranate juice, walnuts, aubergine and cardamom - usually served over chicken or even camel). A Scenic drive through the mountains brings us to the mountain village of Abyaneh. Included village walk through Abyaneh, known for having retained its ancient charm. Set at an altitude of 2,500 metres and nestled at the foot of Mt Karkus, Abyaneh features houses that are arranged in a stair-step shape. An impressive aspect of Abyaneh's architecture is that the mud brick houses are uniform in appearance. Leaving Abyaneh at 8am we arrive in Esfahan at 10am so you have 2 full days in this wonderful city. 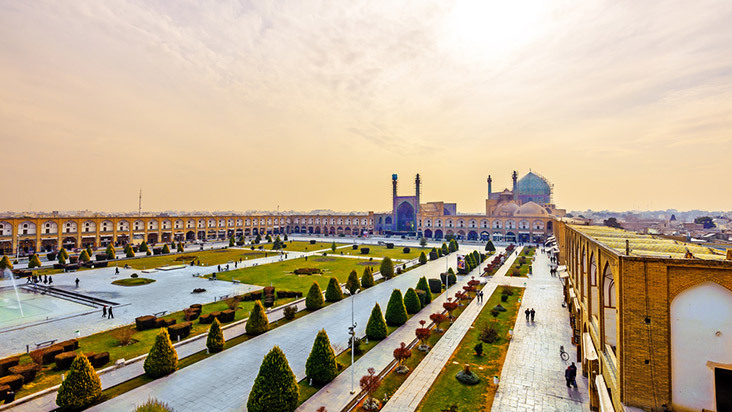 Explore the beautiful city of Isfahan, enjoying the famous square, mosques and bartering at the bazaar. 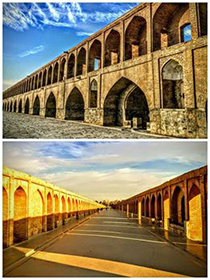 Hang out on the many bridges that make Isfahan unique or shop for an authentic Persian rug. Your tour in the afternoon starts in the world's second biggest square - Iman Square and visits the Iman Mosque, Sheikh Lotfallah Mosque and the Ali Qapu Palace. You’ll also explore the atmospheric bazaar with its wonderful scents and spices. 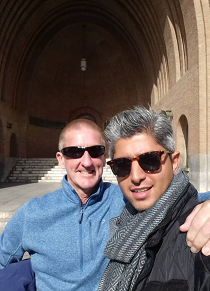 Today is dedicated to visit the Zayandeh River and stop for a well-deserved chai at one of the stunning bridges that give this part of the city a relaxing, but colourful air. You will also visit to the Jameh Mosque (Friday Mosque), the Chehel Sotun Palace and the bizarre Manar Jomban (shaking minarets). Arrive in Yazd, the centre of the Zoroastrian religion. Tour the old town, marvelling at the unique towers (Bagdirs) that scatter the city. Visit the Jameh Mosque, Amir Chakhmaq Complex, Zoroastrian Fire Temple, The Water Museum and the Towers of Silence burial grounds. Yazd is a fascinating place to wander around, being one of the best preserved mud brick old towns in the near East. Today is a free day to explore more of the city. Yazd is unique for its intriguing architecture, which has been perfectly adapted to the harsh weather conditions of the surrounding desert. Wind towers, or badgirs, are a feature of most of the buildings in the old city - they trap even the gentlest of draughts and direct them into the houses. Travel across the desolate desert interior we reach the Zein-o-din Caravanserai. Situated in the desolate Dasht-e Lut desert, Zein-o-din is a classic small caravanserai built during the 16th century under the orders of Shah Abbas, who was reported to have constructed 999 such hostels to promote business. The constantly mobile Silk Road travellers had a frequent need for places of rest and shelter in areas between widely spaced cities and towns. This led to the construction of many such caravanserais. Their main function was to receive travellers and store merchandise, so they were designed to be spacious enough to shelter guests, as well as goods. A night's stay in a caravanserai is a wonderful chance to relive the age when merchants travelled the remarkable Silk Road. Most of the rooms remain unchanged from days gone by, with carpets covering raised brick floors, and heavy curtains rather than doors separate rooms from the hallway. Like Silk Road travellers before us, we'll experience a rich red sunset while the night sky fills with stars. Perched between the desert and the mountains, Eqlid acted as the main gateway from the north to Persepolis in ancient times, as other routes were mountainous and difficult to pass. Visit Sassanid empire ruins dating back 1800 years, a Zoroastrian 'Tower of Silence' and the sacred shrine of Eqlid. Moving on we reach Abarqu, home to the famous Ice house, 11th century Gonbad Ali Dome, Jameh Mosque and the famous 4000 year old cypress tree. Leaving Shiraz we travel on to meet our nomadic hosts. Iran has over 500 different nomadic tribes - the largest and most important is the Qashqai tribe. More than half the area north of Shiraz is home to different tribes who have gathered in this region over centuries of nomadic existence. This is our chance to observe the lifestyle of nomads as they herd their animals, tend to the fields and enjoy simple meals. Overnight in a nomad tent. Enjoy a guided tour upon arrival visiting the Karim Khan Citadel, Vakil Mosque, Shiraz Bazaar and hear some poetry being recited at the Tombs of Hafez. You will also visit Shahcheragh, one of the most sacred shrines for Shiites, Atique mosque, a traditional teahouse in the wonderful Bazar-e Vakil, Nasir-ol-Molk Mosque and Khan Madraseh. 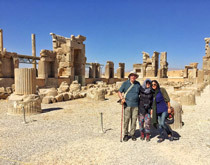 On the morning of day 13 you’ll explore the UNESCO World Heritage Site of Persepolis, the ceremonial palace of Darius the Great with amazingly well-preserved carvings. Our guided tour will also take in the rock cut tombs at Naqsh-e Rostam, the resting place of Darius the Great. Return to Shiraz in the early afternoon where you will have free time to explore more of the city. This morning we fly from Shiraz to Tehran. Upon arrival we visit more of the city. Today is departure day. There are no activities planned and you may depart at any time. Hotel check out is at 11am. 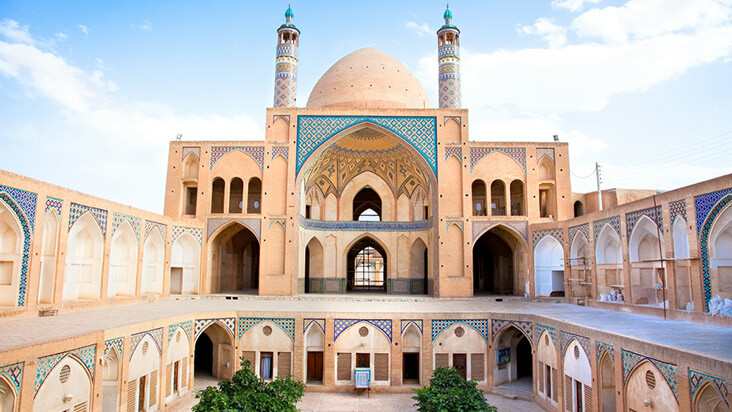 This trip package includes 1 internal flight (Shiraz - Tehran) which retails at about 200AUD. All nationalities require a visa and a Letter of Invitation for Iran. Please contact Get About Asia in order to apply. Your ATM, Visa or Mastercard will not work in Iran. You need to bring cash in US dollars (100s, 50s, 20s) with you to change into the local currency. You will use this local currency while in the country. The notes should be crisp and perfect with no folds or marks and should be no older than 2006.